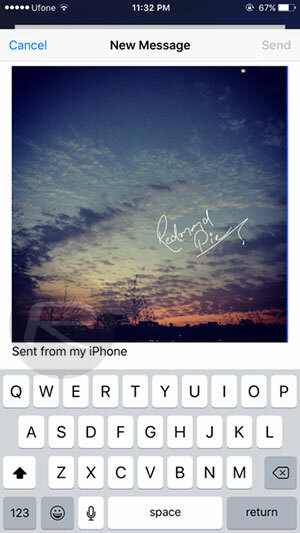 Ever wondered how you can add your signature to a document to be sent or received via email directly from the iOS Mail app on your iPhone or iPad? It’s actually pretty easy now thanks to Markup feature introduced in iOS 9. You no longer have to rely on third-party apps for creating and adding signatures to documents. Here we will walk you through a step-by-step guide on how to digitally sign your email attachments directly from the iOS Mail app. Step 1: To begin, either start by composing a new email and attach a document (like a PDF) or image to it, or open an existing email with an attached document or image file. 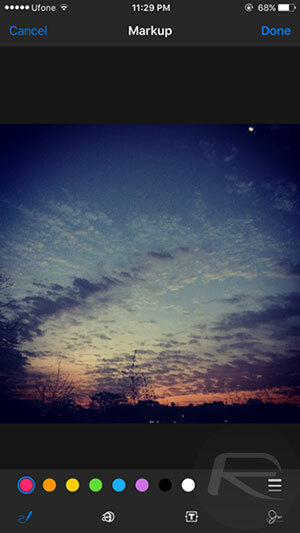 In this example, we will be attaching a image to a new email. Step 2: Once the image or document is added, tap and hold on it to bring up some contextual options, then tap on Markup. In case you’re opening an attachment from an existing email in your inbox, simply open that attachment, and you will see a toolbox icon in the ribbon at the bottom, tap that to get into Markup option. Step 3: Now tap the signature button located at the bottom right corner. Step 4: A clean white “New Signature” window should now open up, where you can draw your signature. This will be used on the attachment at hand. Once complete, tap Done. Step 5: Now you can place the signature you created anywhere you like on the image or document. You can even resize the signature and change the color from the eight shades available in the bottom ribbon. Once you’re satisfied with the location and color of the signature, hit the Done button. 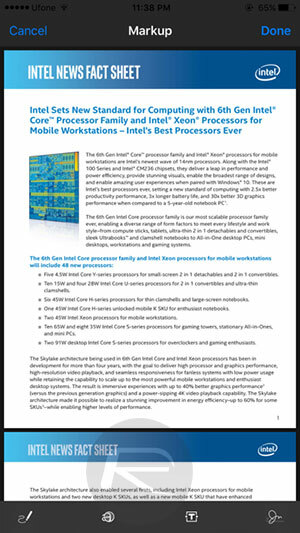 Thats it, you can now see the signature embedded into your image or document, which is now ready to be sent on its way. It is important to note that when editing documents (not images), rich editing tools such as colors, will not be available. Instead you will see some basic options as seen in the screenshot below. 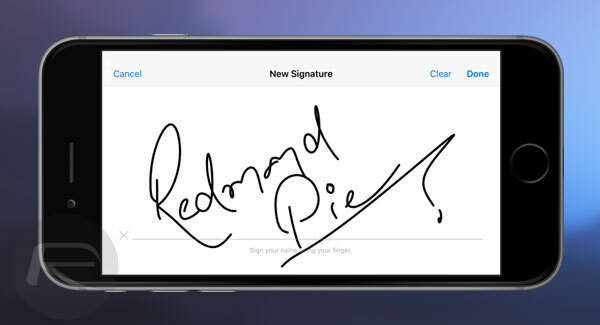 So, do you have to create a new signature every time you want sign a document or image? Nope. 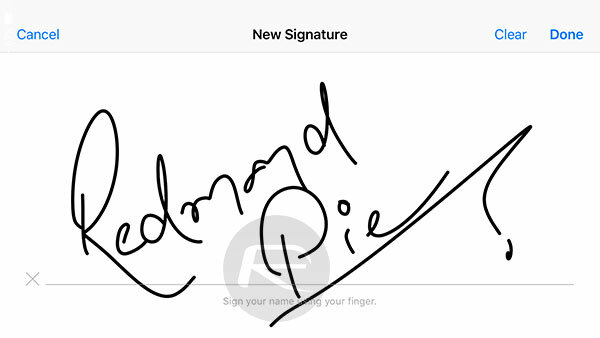 The Mail app will save your signature the first time you draw it and offer it up for whenever you need to sign something. Additionally, you can also save multiple signatures should you wish to. Markup feature for Mail is also available in OS X. 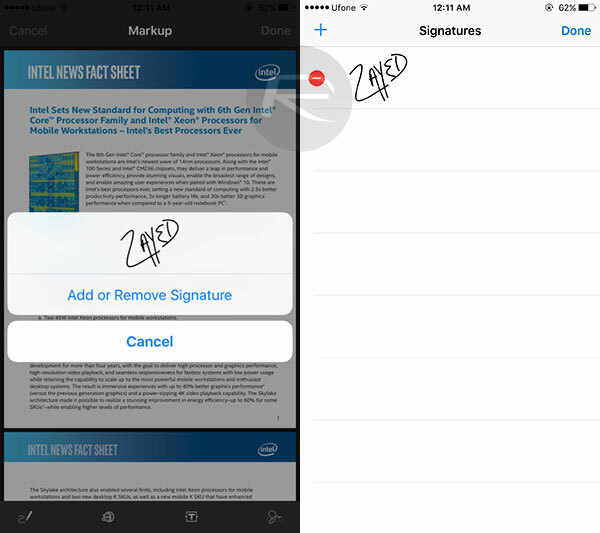 Similar to iOS version, you can also use the Markup feature on your Mac to digitally sign documents. How do I sync it over the iOS devices Cyril ?